How did you do this!!!! That's a fun mix of coffee pots, this is pretty! Happy New Year Kimberly! So fun Kimberly. I love your little cut out area for your sentiment. 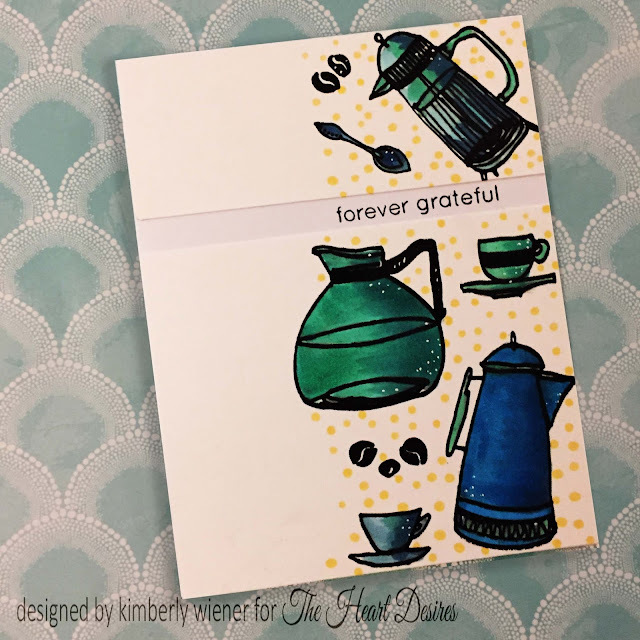 What a fabulous card Kimberly...just love all your sweet coffee images, just stunning. Happy New Year!